The forward charges along the boards as if to go into the corner, but makes a quick stop past the two cones, changes directions immediately and passes to the second forward coming down the slot. 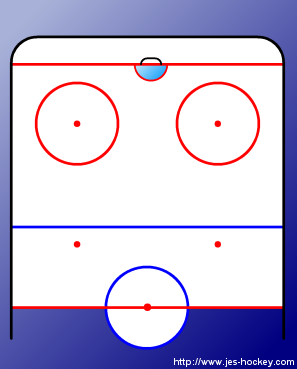 This drill should be done on both sides of the ice for the benefit of the skaters skills. 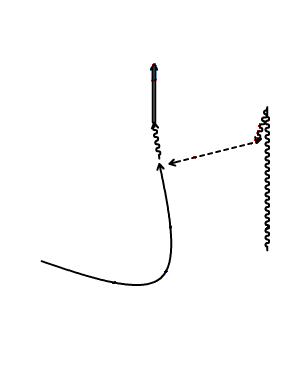 Puck carrying forward charges in the corner past both cones. Puck carrying forward, makes a quick stop with the puck and changes direction, looking towards the slot. New puck carrier takes shot on net. Look for the open part of the net when shooting, not the goalie. After shot, both skaters crash the net looking for a rebound.